I'm always trying to find cute ways to spruce up our very limited wall space in our apartment. I love bursts of color and little treasures that make it look more like home. Pinterest is an absolute miracle for these ideas, and many of them are easy on the budget, which is a must for student life. and decided it belonged on my wall. Nothing too fancy or flawless, but I love that it's simple and playful. Plus, everyone could use a few more pictures on the wall! 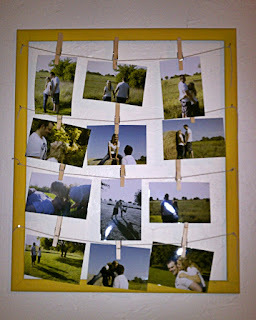 I love easy, inexpensive crafts. Where do you find your inspiration and supplies for decorating on a budget? Wow this looks great! I like the idea too. Love this! What a fabulous idea! Thanks for sharing! I like the yellow frame with lots of green and blue in your pictures! You're amazing. thanks for following me:) I love DIY. I am obsessed with Pinterest! they have so many ideas on there. I'm now YOUR newest follower! love this and saw it on pinterest...although I have yet to make it to the store to find a frame..:) Thanks for dropping by the other day! I totally, totally love it! I love this! I have found almost all of my new craft projects on Pinterest. I haven't seen this one yet, though, and I'm loving it! 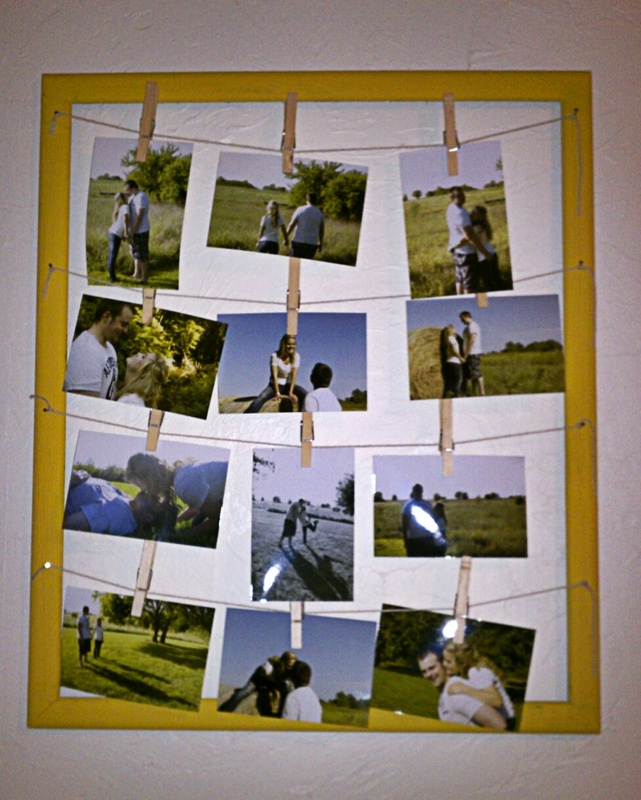 I want to re-do my entry with board and batten, and am trying to think of cute things to put on the shelf. This might need to go there! I love that picture frame! 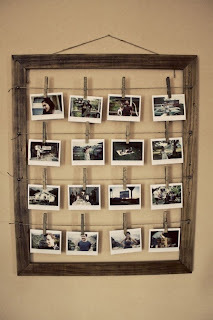 I love DIY stuff like this too! Thanks for stopping by my blog. I love what I have seen of your blog too! I can't wait to read more! How cute! I love that idea. What a great idea! I think it looks amazing. 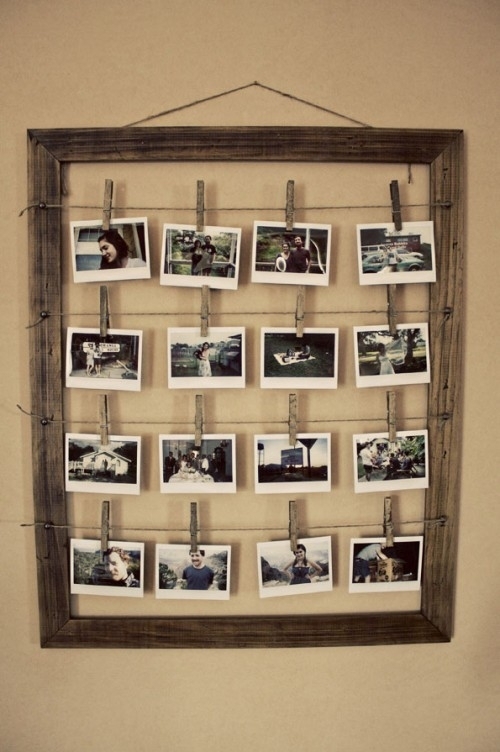 So awesome to add so many pictures with one idea! That is totally adorbs!!! I must see if I can recreate that! great idea! i should totally do that too! i love it and the vibrant color! !